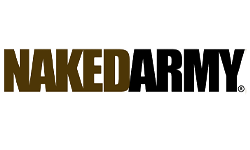 Naked Army 1:6 scale (12 inch) Military cold cast bronze figurines and resin model kits are as individual as the Australian soldiers they portray. They convey a wide range of military theatres including the First and Second World Wars, Vietnam, Timor, Iraq and Afghanistan. They are limited edition and finely sculpted collectables finished one at a time so you are assured of receiving a unique replica of the soldier of your choice.